A controversial film in Colombia due to the real event on which it is based (the kidnapping of Clara Rojas and Ingrid Betancourt), Operation E was at risk of being banned but was finally released in the country after a politicized trial. Crisanto (a magnificent Luis Tosar) is a poor cocaine farmer who lives with his family in the Guaviare jungle, a region ruled by the Fuerzas Armadas Revolucionarias de Colombia (FARC). A group of guerrilla fighters give them a moribund baby and tell them to take care of him. The doctors heal the baby, but believing he’s been abandoned and abused, and they take it away. Two years later, the guerrilla asks urgently for the child as he is at the center of an exchange of hostages, negotiated between the presidents of Colombia and Venezuela that is bringing both countries to the brink war. This international political crisis has significant media impact and is widely reported across the globe. They give him three days to find the boy or he and his family will be killed… This is a political thriller which shows what happens away from the cameras and microphones, a contrasting view of the official version. 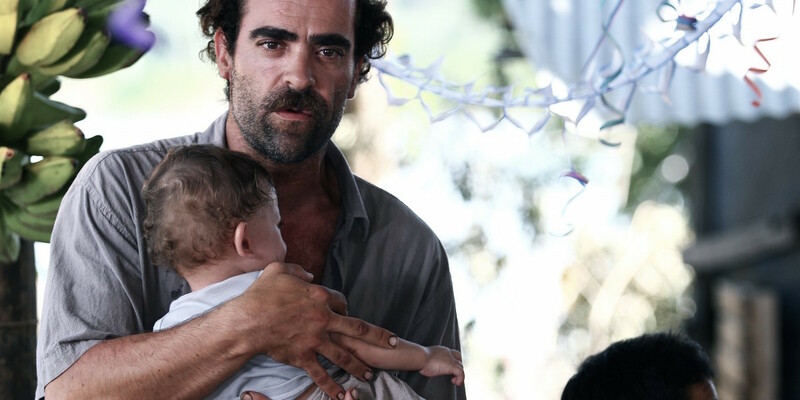 Spanish star Luis Tosar (Even the Rain, Cell 211) lived in the Colombian jungle in order to prepare for this role, based on the real man who was charged with Emmanuel, Clara Rojas’ son. OPERATION E IS ONE OF THE MANY FILMS INCLUDED IN THE CATALOGUE OF SPANISH FILM CLUB. SFC AFFILIATED UNIVERSITIES CAN TAKE ADVANTAGE OF A SPECIAL PRICE OF $99 IF THE TITLE HAS BEEN INCLUDED IN THEIR SFC FESTIVAL. PLEASE CONTACT SFC STAFF AT FILMCLUB@PRAGDA.COM FOR MORE DETAILS. Miguel Courtois Paternina was born in Paris in 1960. He started directing with Preuve d’amour in 1987 and has worked in French film and television ever since, directing and creating numerous films and series including La Crim’ (1999) and Le Lycée (2000), which received the Best Series Award at the Saint Tropez Festival. He directed his first Spanish film El Lobo(Wolf) in 2004, which won two Spanish Film Academy Goya awards as well as numerous other international prizes. His filmography also includes TV movies such as Second Chance (2005) and Le Piège Afghan (2011), and the feature film GAL (2006) which was shot and produced in Spain.